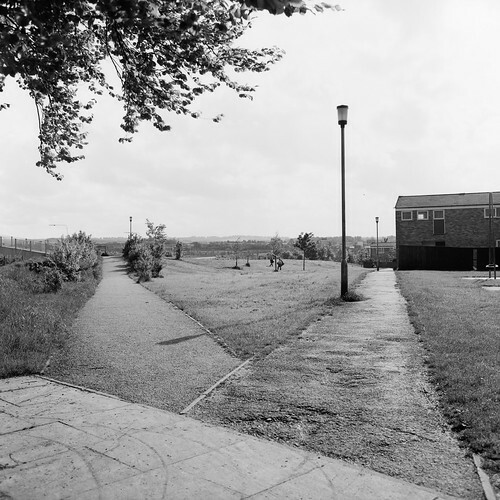 Castle Field Path ran from the Bounty Cricket Ground to a bridge over the 'new' Ringway. Here is divided to provide access to new housing. Mamiya C220 TLR. Ilford Pan F film developed in ID11.